Tune Into The Power Of The Polar Bear This Week At The Conscious Club! It’s Polar Bear Week at The Conscious Club! Every animal has significance in this world as well as something powerful to teach us. A changing climate combined with human impact is creating a different landscape. Many animals have made (energetic) contact, searching for help, and as a collective - the time to answer to their needs is NOW. We have heard the calling of the Polar Bear who has come to announce the final warning. Therefor we have dedicated this week and the upcoming Project Earth edition solely to the magical Polar Bear. Join us this week where we tune into this amazing spirit guide and awaken the Polar Bear connection within us all. When the polar bear enters your life, you have a powerful guardian. You can rely on this companion to acquire the power of endurance. The Polar Bear is a symbol for a period of reawakening. And since we are still in the Aries energy of the New Moon it is a perfect week for some help of this friend with your intentions! The Polar Bear will help you grow into a stronger person. It will remind you that you are capable of handling adversity more successfully. And with the help of this friend you’ll realize that you’ll become more bold and fearless, as the Polar Bear is a tower of strength in your life. One you can depend on for physical and emotional support. No one will be able to compromise your morals. You are able to uphold your values amidst the toughest of critics. We invite you to dedicate your practice this week to this important and powerful friend. Even if it is for a small moment, as we need to bring some light and loving energy to those in need. The more we all pitch in, the bigger the collective field. This week you will learn more about this powerful friend! So join us and inspire your friends for this important movement in energy! 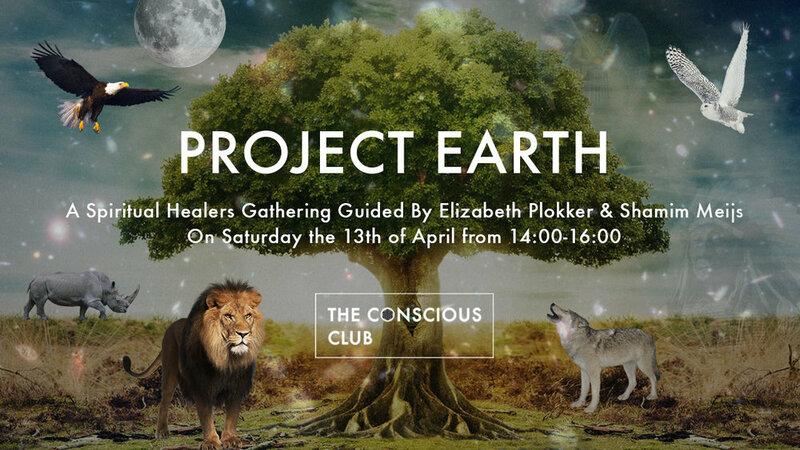 Join us for Project Earth this Saturday the 13th of April! In a time of turbulence, between the hectic of the hustle and bustle of the city, many of us feel some importance to contribute to our surroundings in a positive way. Project Earth is created as a gathering for healing, sharing and inspiration. Via meditation and a basic set of tools, we can influence the energy grid of our surroundings and even the planet. Come join this ceremony, sharing circle and Q&A session for those who seek some answers and wish to contribute!